Brockweir, just north of Tintern, was once famous for shipbuilding. In one year alone – 1824 – 13 ships were launched from here. It was also famous for its drunken and debauched townsfolk: in the eighteenth century over 300 people lived here, with seven pubs and no church. Today it’s a peaceful hamlet, with the dockside almost covered in weeds. The change began in 1833 with the arrival of the Moravian Church, an east European religious group, who brought a new atmosphere. Trellech, a few miles to the West of Tintern, once a major Welsh town, has been subject to much archaeological excavation in recent times. Probably established by the De Clare family for the exploitation of local supplies of iron ore and charcoal to provide weapons, armour and iron work for military advances in Wales. By 1288 it was bigger than Cardiff or Chepstow at the time. It was largely destroyed in 1291 following a local dispute over alleged deer poaching, and by the Black Death again in 1350. 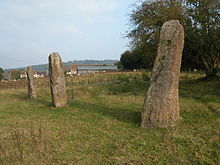 There are various interesting sites nearby including the Harold Stones dating back to the Bronze Age, and the Tump Turret dating back to Norman times. Symonds Yat is located on the 18-mile long Wye Valley Gorge a few miles above Tintern. 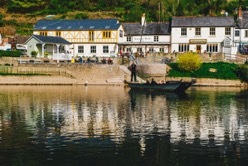 It has been a favourite tourist spot since the 18th century and provides wonderful views of the river and its surroundings. It has been much painted by artists in search of the ‘picturesque’, an idea publicised by William Gilpin in 1770 following his tour of the Wye Valley. Piercefield House dating back to Tudor times, was designed by Sir John Soane in the 18th century, and is now a ruin. 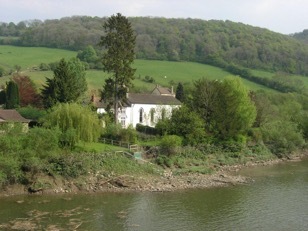 It is set within the 129 acres Piercefield Park, open to the public, a few miles to the south of Tintern near Chepstow. 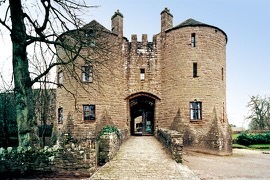 St Briavels Castle was an important fortress on the frontier between England and Wales. Situated a few miles to the north of Tintern, it was built in the early 12th century, and was the residence of the warden of the Forest of Dean – a royal hunting ground where the game was protected and the king alone allowed to hunt. It is now youth hostel. 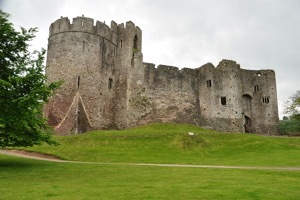 Chepstow Castle was began in 1067 the year after the Battle of Hastings at a strategic position on the River Wye between England and Wales, and is one of the earliest stonebuilt castles in Britain. It continued to be developed over the next few hundred years, and during the Civil War (1642-48) it was twice besieged and fell to Parliamentary cannon. It finally fell into disuse after 1690 when the remaining troops from the garrison were withdrawn.